Spending a lot of time in the forums, I see a lot of people ask the question “what model is it?” in reference to their watch. Reactions to the answer “it doesn’t have one” tend to vary. Some ask “what does it mean?” to which there is but one answer: it means just that. It doesn’t have one. It generally wasn’t popular until the 1960s to really give a name to a watch, or a model line (collection). Among Swiss brands, Rolex did give names to a lot of watches… but still, most of their watches are known by their reference numbers rather than names (that period, when reference numbers were 5 digits long – tops). I especially get that question often, when responding to requests to identify and authenticate vintage Omegas. Mostly in case of 1940s and 1950s watches, some early 1960s pieces too. Well, quite simply. Most Omegas were unnamed and were part of a so-called International Collection. Which is usually what sets them apart from Omegas made for particular markets, like the US Collection models. The US Collection is a menace to research since the Omega Vintage Database lists only a fraction of these watches. The reference numbers for these had a separate system of their own, with completely different letter codes for the case material. Not to mention, that the locally made (and usually gold filled) cases had a far less understandable type of markings. Because of how odd the reference number system of these is, it’s sometimes hard to tell the reference number from a meaningless internal number assigned to a case by the local American case maker! It’s so much more logical with British-made Dennison cases. Dennison, fortunately, had no intention of pulling off such shenanigans. Here, we get to another issue: can an unmarked watch be a part of a named collection? Oh, absolutely. Yes. And, it’s not uncommon. 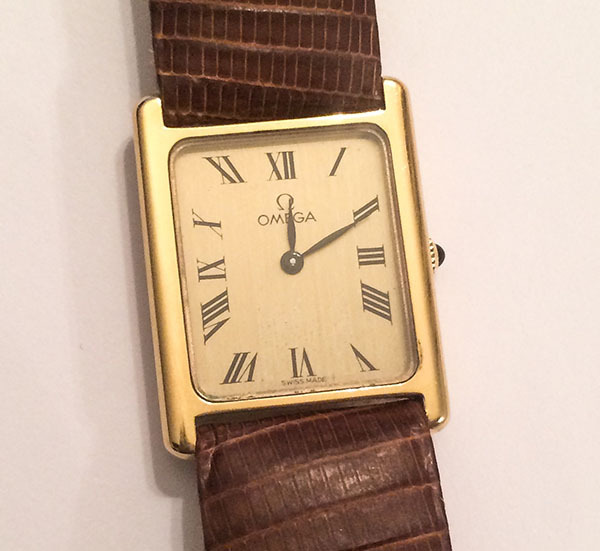 Omegas were often available with or without collection name on the dial (some were available with two different collection names on the dial- although the co-signed models and shared references will likely have an article of their own) – sometimes not even on the case back. Only the reference number assigns it to a particular collection. And it’s nothing strange in the case of this brand- after all- even the 1930s and 1940s models, which actually had a name, were almost never marked as such. Pretty much, that was the case until 1948/1949 and the first Seamasters, which – you’ve guessed it – came with unmarked dials as well! The only collection that had pretty much all of its models marked as such, is the Constellation line. I don’t think I’ve ever seen an unmarked Connie- then again, I don’t even pretend to have seen them all. The Globemaster – the “pre-Constellation” – came with unsigned dials alright. Omega is a great example, as it’s really well documented, and easy to research. But what if you come across a watch from a well-known brand with a smaller amount of resources available, and you want to know if it’s a named model, only unsigned? Well, there’s going through all known named models, and checking if it’s one of them based on the movement and appearance (unless reference numbers are known). That, for example, is the case with early Eterna Centenaire models. Some of them came with unsigned dials, and the only thing that indicated one to be a Centenaire, was a sticker on the case back. This was, of course, usually removed by the owner, or the rather unattractive remains of which you can find on the case back, and which will likely be due for an appointment with some cleaning agents and utensils. Last, but not least: what if a watch is being sold under a “model name” from a watch from another brand? Well, that’s a typical hype trick and a nasty one at that. The most popular model names are being taken from the hyped brands, like Patek or Universal Geneve, and the label is stuck to a visually similar, yet technically unrelated piece of a far, far lower value. And so, you get a lot of chronographs sold as a Uni-Compax, Bi-Compax, Tri-Compax, despite the fact they weren’t made by Universal Genève. Call a simple time-only, 1950s watch a Calatrava and fleece someone for twenty times its worth. Unless it’s a time-only Patek, and if to be precise, a 1990s one (when the name Calatrava was introduced as a collection name for the simple, time-only dress watches), then, well…it’s not a Calatrava. If you’re being sold something as a Calatrava and nope, it’s not a Patek, walk away. Just isn’t worth the money, if you ask me. Unless you really want to pay the 18-year-old single malt price for a 12-year-old blended. It doesn’t mean, that the latter is bad, quite on the contrary. The thing is, that no matter how hard you try to think that it’s the same thing, it still isn’t. Changing the sticker on a bottle won’t transfigure its content. What if there’s no way of knowing? It’s only the nature of this hobby, that very often identifying a watch ends on the sort of obstacle, which you just can’t find a way around. Not because it’s hard to find, but simply, because there isn’t a way. 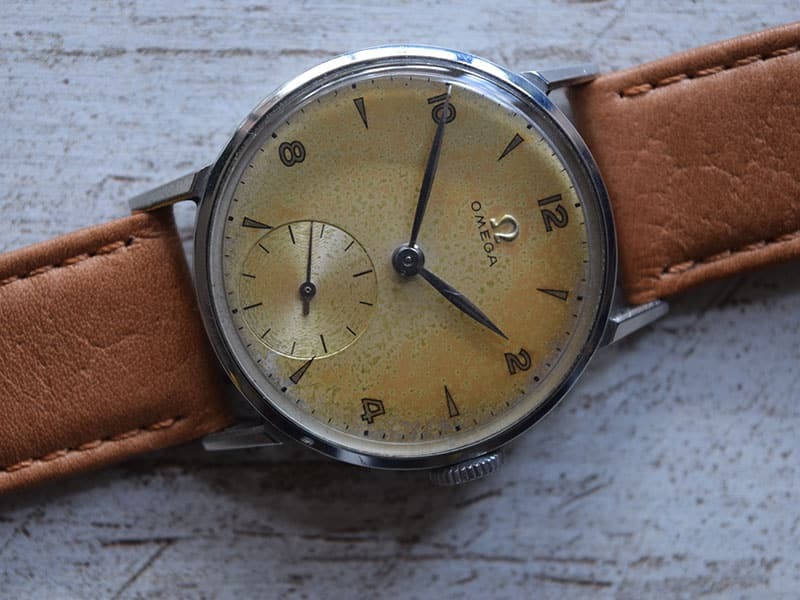 I have found the model name for one watch that I own – a 1948 Roamer Junior made for the Swiss jeweler and watch retailer Turler – only by accident. I haven’t seen it in any resource dedicated to Roamer watches. Sometimes you get lucky, sometimes you don’t. I know, it would be fun, if even the average watch with an unsigned ETA or AS inside, made by a forgotten brand, which only exists in trademark registers (and sometimes not even there) had some sort of fancy name, but if it doesn’t…it doesn’t. While they’re surely a fun thing to have, labels are of least importance. Sometimes a movement makes the watch, sometimes the case and the dial, preferably the sum of all things. The label, however, is of no relevance. Unless it pertains to desirable qualities: an interesting case design, a really great and accurate movement (optionally with some innovative solutions), or the suggested use for the watch (as a tool in racing, diving, aviation, engineering etc.). The label alone means little- it’s superficial. If it isn’t real, it’s not a boost for the owner’s pride either. That said, let us all focus on the finer side of these little, ticking wonders: the craftsmanship, the engineering behind them. Do you find it important to label all your watches? Do you have some “unnamed” watches as well? Let me know in the comments below. An interesting and informative piece Michal -thanks. Sometimes you may just have to either concede defeat,accept the information may never have been in the public domain or has just disappeared along with defunct companies or their records. As you have shown though vintage advertising can often yeild information or clues. Thanks, Martin- glad you like it. I as well find it hard to give up and call it a day. Finding out the info about my Roamer would not have happened, if not for a few helpful people and a healthy dose of luck (which provided new leads to follow). Regarding trying too hard to find as much info as possible, I’m equally guilty- then again, while I believe, that trying too hard is better than not trying enough, I think it’s all about not letting it turn into a wild goose chase, and making sure that disappointment resulting from the lack of info does not make the watch any less enjoyable.